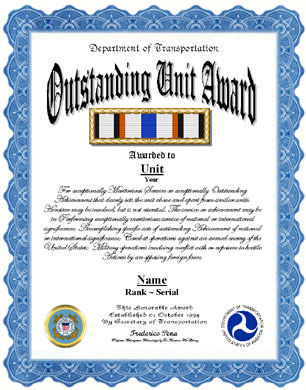 An unaltered photocopy of your DD-214, WD AGO, NAVPERS, NG or other military issued document clearly displaying your Department of Transportation Outstanding Unit Ribbon authorization. For exceptionally Meritorious Service or exceptionally Outstanding Achievement that clearly sets the unit above and apart from similar units. Heroism may be involved, but is not essential. 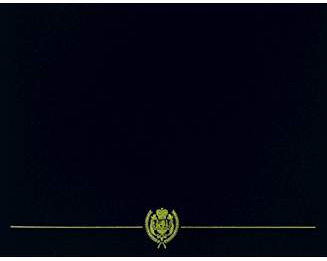 The service or achievement may be in Performing exceptionally meritorious service of national or international significance; Accomplishing specific acts of outstanding Achievement of national or international significance; Combat operations against an armed enemy of the United States; Military operations involving conflict with or exposure to hostile Actions by an opposing foreign force.